A new survey of 1,077 registered voters found that the FCC’s plan to rollback net neutrality protections is staggeringly unpopular among Republican voters. 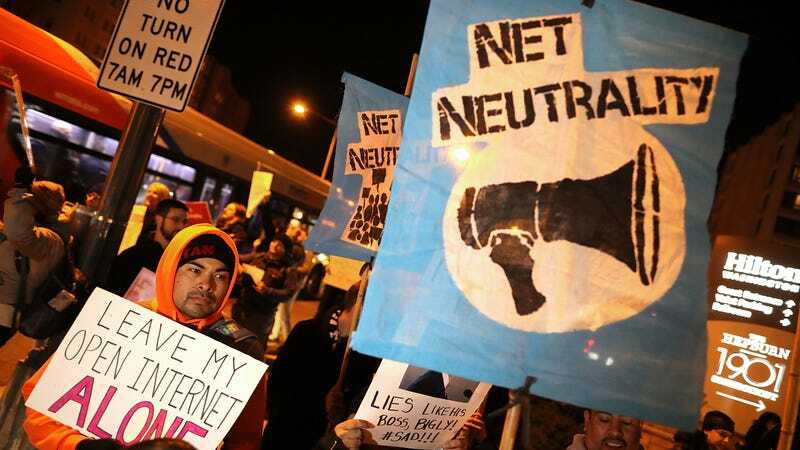 “Earlier polling by Democratic pollster Peter Hart showed that most Americans believe that utility-style regulation of the Internet is harmful, and this is the regulation that the Restoring Internet Freedom order will eliminate,” the FCC said. In comparison to Hart’s study, the university’s pollsters gave respondents a policy briefing ahead of time, laying out the cases both for and against Pai’s order. Steven Kull, PPC’s director, told the Post that a government official who represented the Trump administration’s position reviewed the content of the briefing. Only 48 percent of the respondents found the government’s case persuasive, compared to 75 percent who found the arguments against Pai’s order convincing. Republicans hold three of the five seats of the FCC, effectively giving them control the commission’s actions. Should the vote take place on Thursday and pass, as it’s expected to, it seems likely that the issue will come back to haunt the GOP in 2018. That knowledge is apparently giving at least a few of the party’s members pause. Correction: A previous version of this article stated that a government official briefed the survey’s respondents on the Trump administration’s net neutrality position. The government official actually reviewed the content of the briefing before it was given to the respondents. We regret the error.